Fog is technically when visibility is reduced to less than 1km by mist and low-lying cloud. However, thick fog can reduce your visibility to just a few metres. On the back of a car will be one or two fog lights. They are about as bright as brake lights and therefore can be seen much more easily. Fog lights on the front are mounted low in the bumper and produce a wide, flat beam that doesn’t reflect back off the fog like full beam headlights do. 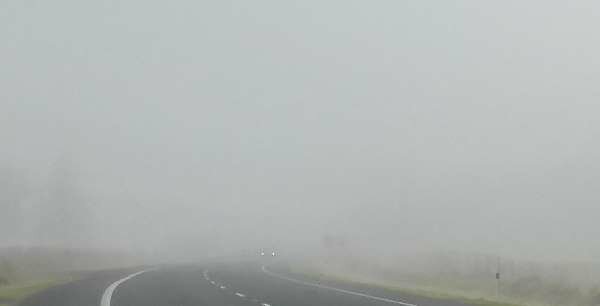 When it’s not foggy remember to switch off your fog lights because they will dazzle other drivers. If you want to know just how little you can see in even very light fog, check out this image – yes, there is a car in the middle of it with its lights on if you look closely, and this fog wasn’t even that thick. 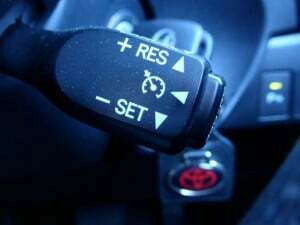 This button is often hidden down near your right knee, or it could be as a separate collar on the headlights wand/stalk. Headrests can be adjusted easily – simply look for the little button on the collar of one of the metal stalks that fit into the seat. This also allows you to take the headrests out, which we wouldn’t recommend when driving because they provide whiplash protection. You can, however, remove them in the rear if you are not carrying passengers and, on some cars, this slightly improves rear visibility. Some rear headrests fold forward as an option. 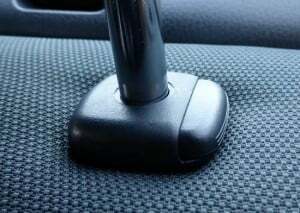 If fogging is a problem on your rear window you can turn on the rear demister. It’s different from the front demister in two ways: firstly the button graphic is a different shape, and secondly the rear demister doesn’t have vents like the front, instead using wires embedded in the glass to generate heat to evaporate the condensation. If you have a persistent problem with condensation it’s likely that your vehicle has a leak somewhere and is therefore damp. Check around door and window seals and for patches of rust that might have pin-prick size holes. Also check under the carpet in the boot. Look for this button as part of your air conditioning controls. The old-style mirror had a lever underneath that changed the angle of refraction to dim the mirror; newer mirrors have a sensor that detects light from behind the car and they pass a small electric current through the glass which dims it. This can be turned on an off using the button at the bottom in the middle. Mirrors also can contain other information such as a compass or rear view camera image. Parking sensors are almost standard now on new cars. As safety has improved, the thickness of the rear pillars have increased and the size of the rear window has been made smaller, and that’s made it more difficult to reverse. Parking sensors are mounted in the rear bumper and, sometimes, in the front bumper. They are especially useful on large SUVs which have a huge blind spot immediately behind the car. Many accidents with toddlers being run over in driveways are because of this blind spot. You can turn the parking sensors on and off using a button with this graphic. They will usually come on automatically when you put the car into reverse, but there might be instances where you don’t want them on. This button is often hidden down by your knee on the right-hand side. Sometimes you need that extra bit of concentration and you don’t want to be distracted by the radio – the road might get tricky, you could hear an emergency services vehicle, someone in the car wants to talk to you, or you have to stop at a police breath testing checkpoint. You can use the mute button to immediately silence the stereo. When you unmute it, it will be at the same volume as before. Look for the button either on the steering wheel or the stereo. This button has two functions: it allows you to immediately lock all the doors if you feel in danger, and it allows you to unlock all doors so that pedestrians can get in if your car is one that automatically locks all the doors over a certain speed. 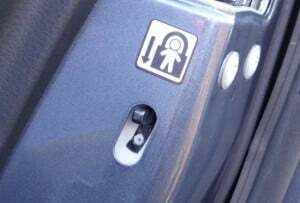 Look for the button on the driver’s door near the window controls. Full beam headlights give you the best visibility of the road ahead. By law you are not allowed to use them when a police officer is directing traffic, when you are parked, when vehicles are coming towards you, and when you are following vehicles. It’s perfectly fine to use them in a built-up area if it helps you see more clearly, as long as you aren’t dazzling other road users. Don’t use them in fog because the light will reflect back at you and you will see less. They are usually activated by pushing the headlight wand forwards, and deactivated by pulling it back. You can flash your headlights by pulling back further on the wand. Older vehicles sometimes have pull back to turn on and pull back again to turn off. You can use your hazard lights only when you are a temporary obstruction or you are being towed. You can usually find the button in the centre of the dashboard and it will almost always have a red triangle. The hazard warning lights flashes all four indicators simultaneously. Cruise control attempts to keep your car at a constant speed without you having to press the accelerator. It’s useful on the motorway or open road to give your foot a rest and also to keep you below the speed limit – our speed tends to creep up over time as we become accustomed to it. The most simplistic cruise control features set (sets the speed), resume (resumes the last speed before it was cancelled) and off/on (enables or disables the cruise control). Advanced functions include the ability to nudge the speed up or down one kilometre per hour, or multiples of kilometres per hour at a time, a speed limiter and radar-based cruise control which matches your speed to the vehicle in front. Older cruise control systems had no braking included so when you were going downhill you would end up picking up speed, which meant you had to brake which cancelled the cruise control. Newer systems recognise when speed is creeping up and apply engine braking by changing down gears, or actual brakes. Cruise control is cancelled by touching the brake or changing gear, or turning it off. If you carry young children you don’t want them to be able to open the doors from the inside while you are driving, therefore you can use the child locks. These prevent the door from opening. They are annoying for adults, though. You can find the switch by opening a rear door and looking near the lock. Voice commands are available on most new cars, although we don’t know how useful they are because they tend to have trouble understanding our accent. You can access multiple different functions using voice commands. 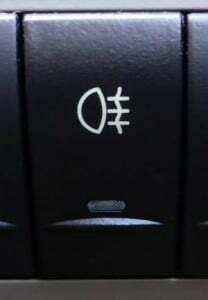 You will almost always find the button for this on the steering wheel. This video shows it in a Ford Focus – 10,000 voice commands! Who is going to remember all of those? Also, you can see the main frustration in this video that it doesn’t understand you all the time. ‹ What gearbox should you learn to drive with? When was the last time you checked your Road Code knowledge? Try some tests for free! How do you know when to change up or down a gear? Is it possible to learn how to drive online or by using videos? Can you use an Australian forklift licence in New Zealand? How far should you be able to see ahead while driving? Are you allowed to wear headphones while you drive a car or ride a motorbike? Why is the cost of car insurance so expensive? What’s the best way to keep the inside of your car clean? What gearbox should you learn to drive with?